The imagery in this novel is fantastic. I re-read several passages. like reading an old legend, and it was my favorite part of the book. Interesting how some horrific experiences can be so softly explained. The imagery in this novel is fantastic. I re-read several passages. Learning the history of the drum is a story within the story. It was like reading an old legend, and it was my favorite part of the book. Interesting how some horrific experiences can be so softly explained. 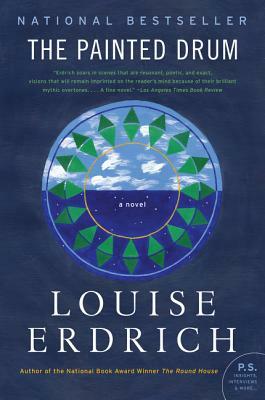 Compelling and unforgettable, Louise Erdrich's Painted Drum explores the often-fraught relationship between mothers and daughters, the strength of family, and the intricate rhythms of grief with all the grace, wit, and startling beauty that characterizes this acclaimed author's finest work. “A lovely addition . . . to a growing landscape as memorable and enduring as William Faulkner’s Yoknapatawpha County.